Divorce and parenting cases frequently involve third-party professionals whose job it is to opine regarding the issues in your case, be the eyes and ears of the Court or to make recommendations to the Court as to appropriate resolutions of contested issues. Knowing how to interact with these individuals is critical to the success of your case. On the financial side, these individuals may be forensic accountants, vocational counselors, business valuation experts, divorce financial planners, appraisers, realtors, etc. These professionals often work with your CPA and your attorney to help sort out the details of your financial circumstances so that you can present a cogent argument to the Court regarding a fair and equitable distribution of your marital estate. For the most part, your job as the client will be to ensure access to information necessary for these professionals to do their job. This will include providing documentation and access to tax returns, accounts and other property and financial information. Working with these individuals rarely creates an issue of client control for attorneys as the client’s role is generally rather limited and the issues involved comparatively straightforward. But there is another class of professionals that may be significantly involved in your case and who will have a dramatic impact on your life. These professionals include parenting evaluators, guardians ad litem, parenting coordinators, substance abuse evaluators, anger management evaluators and psychiatric evaluators. That list is by no means exhaustive; however, these are the categories of mental health and parenting professionals who you are most likely to encounter in your divorce. For purposes of this blog post, I will identify this class of professional simply as “professional evaluators”. 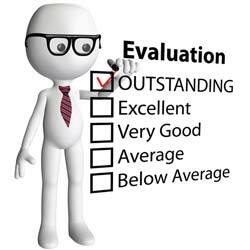 I like using professional evaluators because I believe that the results obtained are generally more accurately tailored to the reality of the client’s situation. Without the input of a professional evaluator, important issues — issues that have a real world impact on children and families — will be decided by a judge after a very limited amount of exposure to the parties, based upon testimony in a courtroom setting subject to the limitations of the rules of evidence. In other words, the real or complete story is rarely told in Court. Make no mistake about it, however: these professionals will have an enormous impact on your case and knowing how to interact with them is critical. Typically, they do not work for one party or the other; rather, they are appointed by the Court to evaluate the facts and circumstances of your case with regard to a particular issue, to report back to the Court and to make recommendations as to how the Court should resolve those contested issues. The vast majority of the time, the Court will adopt those recommendations hook, line and sinker. The professional evaluator is not limited by the rules of evidence, has as much time as he or she needs to do his or her job and generally has access to information that the Court would not otherwise have in order to make decisions in your case. Because they will have such a huge impact on the outcome of your case, it is important to know how best to interact with them. After all, although professional evaluators should apply objective, statistical and evidence-based measures to your case, much of what they do is based upon “soft science”, impressions, gut reaction and common sense. Do not underestimate the value of being polite, prepared and reasonable — even if you feel none of those things. Be on time for appointments. If for some reason you must cancel an appointment, give the evaluator as much notice as possible and explain why you have to reschedule. Be prompt in returning phone calls and associated paperwork. Be polite and calm in every interaction with the evaluator. Do not lose your temper even if you think the evaluator is “taking sides”. Part of his or her job is to probe for the truth. Do not badmouth the other parent, his or her family or friends. While it is important to let the evaluator know what you believe to be weaknesses in the other party’s position, parenting skills, domestic violence issues, substance abuse issues, etc., more generalized assaults on your spouse’s character are rarely helpful and simply make you look uncooperative and bitter. It is better to just state your concerns about the other party as simply and rationally as possible. Make sure the evaluator has any written evidence you may have, including affidavits, police reports, orders of protection, etc. The evaluator will also likely ask for collateral witnesses and contacts. Make sure that you provide accurate, current and complete contact information for those individuals. It is also a good idea to talk to your witnesses before naming them — you might also want your witnesses to read this blog post to make sure that they know how to interact with the evaluator as well. If you do not understand what the evaluator is asking for, ask for clarification and help. Make sure to discuss your interactions with the evaluator with your lawyer so that he or she is up to speed and can help direct you further. Do not harass the evaluator. There is a fine line between making sure the evaluator has all of the pertinent information and becoming a nuisance. Try to consolidate your information and questions so that you do not overwhelm the evaluator by calling every day. Do NOT stop by his or her office without an appointment. Be respectful of the evaluator’s time and privacy. It is always better to accept responsibility for your own problems and to admit your mistakes than to try to hide them or blame others. It is likely that the evaluator will find out about them anyway. Meet your financial obligations to the evaluator. Borrow money of you have to in order to pay the evaluator’s retainer and any monthly statements. But by all means do not ignore your obligation to pay the evaluator. Be proactive. Do not expect the evaluator to gather all of your information for you. Make sure that he or she has access to appropriate information. Appearance matters. If the evaluator is coming to your house for a home visit, make sure it is clean. Dress appropriately for all interactions with the evaluator; similarly, make sure your children are appropriately dressed and clean. If the evaluator will see your car, clean it up too. Be mindful of the fact that the evaluator is watching how you interact with your children. Watch your actions and your words. If you need to discipline your children during an interview, make sure you focus on discipline that sets appropriate limits or withholding privileges and that does not involve corporal punishment, yelling or threats. It is better to appropriately discipline your children in front of the evaluator than to allow your children to run wild while you and the evaluator are talking. Do not coach your children on what to say to the evaluator. Do not provide your children with details about court proceedings or issues in your case. Simply let the children know that it is okay to speak with the evaluator and that the evaluator might ask them some questions. Make sure to follow-up with the evaluator. Check in once every few weeks and ask if the evaluator has had trouble contacting your witnesses, and whether s/he has received any written information you sent.